Our trip to Europe consisted of visiting three cities (Barcelona, Sevilla, Lisbon) and taking a day trip to a fourth city (Cordoba). I am still working through editing all the photos from our trip, but wanted to share a peak with this outfit I wore in Sevilla. 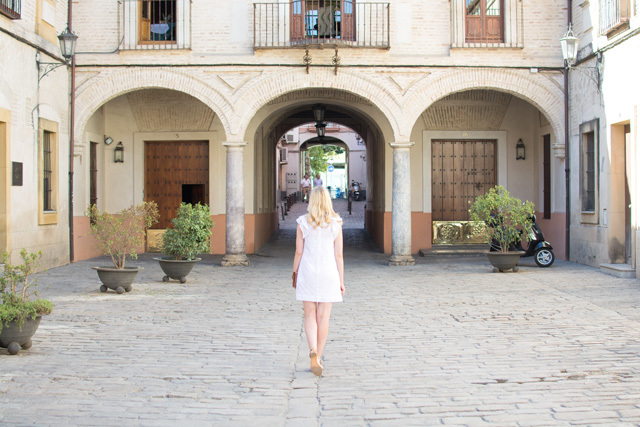 I knew the weather was going to be warm during our trip (one day the temperature hit 106F in Sevilla) and my mind was definitely still in a summer mentality while packing, so my suitcase ended up consisting of a lot of white dresses. 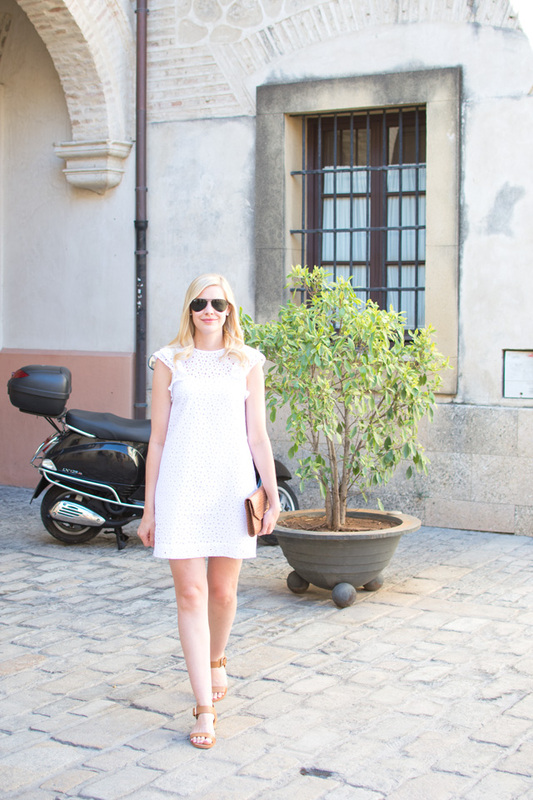 This eyelet dress was one of the many white dresses that made the trip and I am glad I brought it! 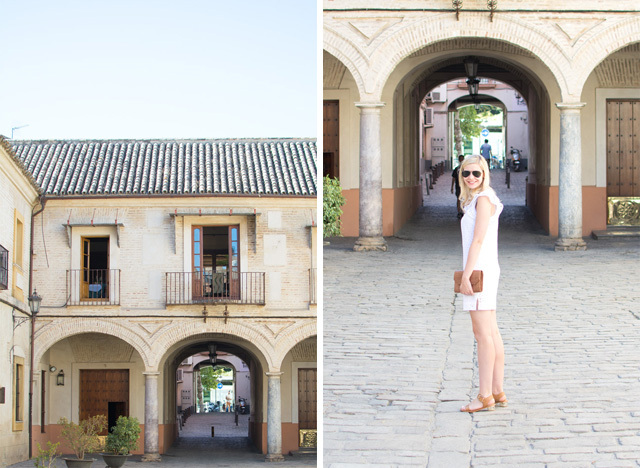 It was cool enough to wear during the day with my crossbody bag and sandals, and at night I was able to switch to a clutch and sandals with an ever so slight heel that were cobblestone friendly!